Dugway Brook, among the bluestone brooks that flow into Lake Erie, is all but invisible today. Generations ago its serpentine branches plunged into culverts buried beneath streets, parking lots, and parks. Though mostly unseen, Dugway traces a path through the heart of Cleveland Heights. Along its scenic courses, visionaries chased dreams. John Peter Preyer carved orchards and vineyards from the Dugway valley. Orville A. Dean built a successful dairy business. John D. Rockefeller, Frank Cain, and Eric Mendelsohn created some of the city's most iconic places: Forest Hill, Cain Park, and Park Synagogue. Yet citizens mostly forgot about the brook amid relentless suburban expansion. 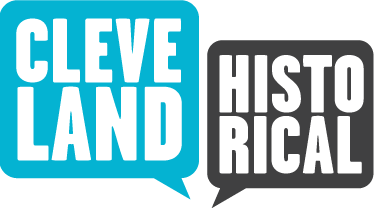 Cleveland Heights, 60,000 strong by 1960, was a mosaic of suburban neighborhoods and business districts. Heights High teens joined many others in the humming Cedar-Lee business district. A two-mile greenbelt of parks transformed one branch of Dugway into ballfields, playgrounds, and other recreational facilities. By the 1960s and '70s, devastating floods in University Circle prompted new concerns about Dugway, leading to the construction in Lake View Cemetery of the largest poured-concrete dam east of the Mississippi. Today we are rediscovering Dugway Brook as a fragile yet important resource.